There are few places in the world that resonate with Americans like the Normandy region of France. Join us on a 5 night post-cruise extension where we will explore the moment in history where Allies started their final push to end Fascism in Europe. This peaceful corner of France is mostly farmland and is well known for its produce, seafood, cheeses and an apple based spirit called Calvados. Early on the morning of June 6th 1944 this area erupted with bombs being dropped, paratroopers falling from the sky and thousands of ships bombarding the coastline before tens of thousands of Allied troops stormed the beaches. World War II will come to life as we walk in the steps of those who lost their lives and others who lost their innocence. We will also explore medieval Bayeux, a quaint village with a beautiful Gothic Cathedral. Our accommodations will be the charming Hotel Lion d’Or, a hotel that has also hosted President Eisenhower and his family, General Charles de Gaulle, Hemingway and other celebrities and dignitaries. Visit the Omaha Beach Cemetery, St. Mere Eglise, Utah Beach, and German Cemetery. April 27 – Once our river cruise concludes in the morning you will have a transfer from the Avalon Passion to the Budapest Airport where you will board your flight to Paris. Once in Paris you will have a transfer to Splendid Etoile Paris Hotel for an overnight stay. Take in the City of Lights before you call it a night. 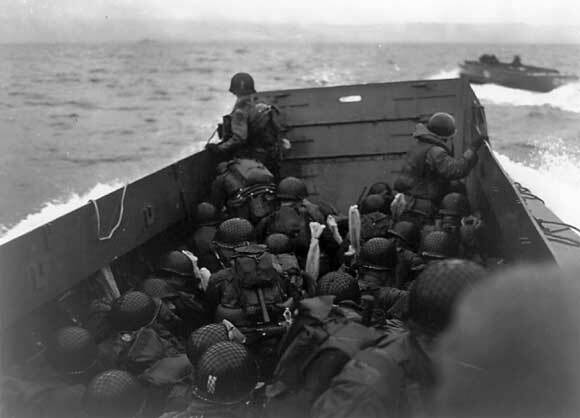 April 28 – After you have enjoyed your included breakfast, the group will take a private bus transfer to Normandy. Along the way we will stop at the Caen Peace Memorial and D-Day Museum. Watch WWII come alive in their theater and experience the interactive exhibitions on the war and its impact on soldiers and civilians. After our visit we will head to the quaint and charming village of Bayeux. We will check-in to the Hotel Lion d’Or. This wonderful hotel has hosted the likes of President Eisenhower and his family on several occasions, French General and President Charles de Gaulle, Ernest Hemingway, as well as Tom Hanks and Steven Spielberg when they filmed Saving Private Ryan and later The Band of Brothers. Enjoy dinner in their renowned restaurant or in town. April 29 – Your morning will start off with a visit to the Omaha Beach American War Cemetery. This tiny piece of American soil in France is the final resting place for 9,387 American soldiers and pays tribute to another 1,557 missing in action. As you look through the Latin Crosses and Jewish Stars of David, you can see the beach in the background. It is a fitting and solemn place to pay tribute to these men and boys who made the ultimate sacrifice for their grateful nation. In the late morning and afternoon, we will visit several other D-Day sites including the German War Cemetery, Utah Beach and St. Mere Eglise, where the first American paratroopers landed. The evening is free for exploration of Bayeux. April 30 – Start with the visit of the British cemetery in Bayeux. There is a stark contrast to its American counterpart as there are beautiful flowers and each family wrote an individual epitaph. It is a reminder that we were not alone in this fight and members for the British Commonwealth from Canada to India to New Zealand also gave their last full measure of devotion. After this short visit we will explore the medieval city of Bayeux including the Gothic Cathedral, the nearly 1000-year-old Bayeux tapestry and the beautiful canals. In the evening we will experience a Norman calvados and cheese tasting and dinner. May 1 – In the morning we will check out and head back to Paris. Along the way we will visit Claude Monet’s gardens in the town of Giverny. The water garden here was his inspiration to many of the most beautiful and well known pieces of Impressionist art. We will be staying for one night at the Sheraton that is inside the Charles de Gaulle Airport. This hotel is incredibly convenient for your flight back to the US on May 2nd. May 2 – Depart any time from Paris Charles de Gaulle airport. This journey will be escorted by Master Cruise Counselor Danny Genung, CEO of Harr Travel. Every detail of this trip will be taken care of to ensure a seamless journey. This is Danny’s fourth season leading river cruises and he has led over 1,000 fellow adventurers across six continents, visited over 100 countries and sailed on more than 80 cruises. Danny and his wife, Kristen welcomed their newest adventurer Ava Jane this past January and she has a lot of catching up to do! 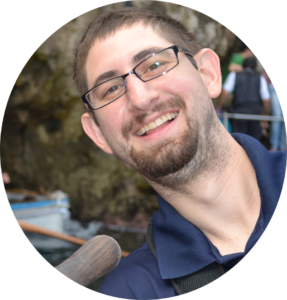 Danny has a Master’s Degree in history and loves to share historical insights and cultural anecdotes. This itinerary combines Danny’s love of Central Europe, with the unparalleled ease of luxury river cruises; by far his favorite way to travel through Europe. He can’t wait to take in the stunning vistas and enjoy the exquisite local food and beverages with you! Sit back and enjoy your journey while Harr Travel handles the details. At Harr Travel we want this journey to be a personal and tailored experience. We are happy to customize your adventure to make it perfect for you. Currently we are finalizing our optional Amsterdam Tulip Time, Dutch Masters and Canals pre-tour option. We are also pleased to offer our privately guided, awe-inspiring tour of Normandy after our cruise. If you would like us to arrange anything further, we will be happy to accommodate. Personalized service from the first time you call to the time you get home from your cruise. Customized pre/post flight and itinerary arrangements. Every detail taken care of: cruise check-in, documents printing and shipping, seat selection on flights, priority transfer and disembarkation assistance, and much more.